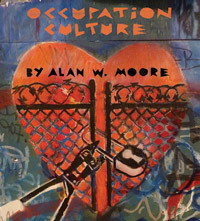 The first presentation of my book Occupation Culture in England was in Brighton, the famous seaside resort town two hours away from London. Brighton has had a strong squatting culture — many squatted houses by many groups, protest occupations around food issues, pop-up squat art shows, etc….. The rest of this story is at the blog Occupations and Properties, in two parts.